University of Virginia Medical Center has been named among 100 hospitals and healthcare systems with great neurosurgery and spine programs by Becker’s Hospital Review. This is the fifth consecutive year UVA has earned this honor. “The organizations featured on this year’s list have extensive neuroscience and spine programs, providing treatment and cutting-edge research into neurosurgical disorders,” wrote the editors of the national healthcare publication in introducing the list. In its write up, Becker’s highlighted UVA’s efforts over the past two decades to provide innovative spine and neurosurgery care, citing UVA’s work with Gamma Knife radiosurgery and focused ultrasound. 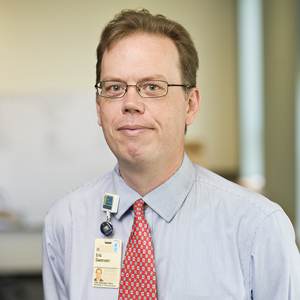 “Our clinicians and researchers are constantly seeking new and better ways to care for our patients, and I am proud to see those efforts recognized by Becker’s Hospital Review,” said Mark Shaffrey, MD, chair of UVA’s Department of Neurosurgery. UVA neurosurgeons and radiation oncologists are leaders in the use of the Gamma Knife, which helps protect healthy tissue and structures in the brain and spine by using high-energy focused beams of Gamma radiation instead of open surgery to treat patients. UVA’s Gamma Knife Centerhas treated more than 10,000 patients since its opened in 1989. UVA is also pioneering the use of focused ultrasound, a scalpel-free surgical approach that uses focused sound waves to provide treatment. Clinical trials led by UVA neurosurgeon Jeff Elias, MD, have resulted in U.S. Food and Drug Administration approval for focused ultrasound as a treatment for essential tremor and to treat tremors in patients with medication-resistant Parkinson’s disease. Additional clinical trials are ongoing at UVA to evaluate focused ultrasound for other conditions that include breast cancer, brain tumors, epilepsy and pain.